Legaltech is becoming the answer to your firm’s billable hour dilemma. Currently, the legal sector is experiencing more and more disruption as tech innovations are answering client and lawyer’s plights for a new way of running the billable hour. Why do lawyers hate the traditional billable hour? An article published recently in The Globe and Mail highlights a pretty solid perspective on why legal professionals dislike the way hours are currently billed, and it’s probably not what you’d expect. Allison Spiegal, a commercial litigator, noted that one of the main reasons young lawyers are leaving the legal profession early on and pursuing careers in other industries is because the reward is misappropriated by billing for time spent rather than value given. Inevitably, this focus on time ends up devaluing much of the non-billable time where there’s often a lot of value; for example, spending time on personal professional development. Why do clients hate the traditional billable hour? Clients hate the traditional billable hour for the exact same reason as why many lawyers dislike it, but on the reverse perspective. If lawyers feel that value is being lost in the current billable hour structure, you can imagine how clients see this. Notoriously, lawyers have little incentive to push for accuracy in their hour tally and are incentivized to take longer on tasks that otherwise might not actually need that much time. This is, of course, just bad all around; lawyers are unhappy because their work is not fulfilling and clients feel as though they’re being cheated, not to mention how difficult it can be then for clients to budget project expenses accurately. It’s problems like the structure of billable hours that are encouraging some firms to start practicing lean startup methodologies and changing their internal structures toward fixed-price servicing over more traditional and quickly expiring practices. For example, many firms are embracing the use of data science and past project analytics to determine new project scope and budget accuracy. Many law firms are now finding the need to compete with DIY legal platforms and disruptive legal startups that are offering solutions for people who may not actually need a lawyer, or extensive time to procure certain documents or accomplish certain tasks. Many firms are building in-house “innovation teams” and either hiring in-house developers and technical teams, or hiring software consultancy firms to create and develop solutions for client relations, data management, document automation, machine learning research, and a variety of other much needed changes to remain relevant. While Toronto-based Capture.IT doesn’t directly disrupt the billable hour structure, they are solving the problems surrounding it by offering a clean and transparent platform for attorneys to openly track their hours for client viewability. One of their main goals is to provide answers to the time escaping through mobile devices. Korbitec is among the dedicated soldiers of automating processes. This legaltech startup is cutting back on the billable hour by providing a platform for the automation of court forms for civil litigation. The Upcounsel structure is taking a direct impact on how lawyers and clients interact, by changing everything about the traditional model. Their platform offers the opportunity for attorneys to bid on client projects with holistic, full-scope fee estimates as opposed to the traditional hour by hour structure. LawScout is similar to UpCounsel in that it is also a platform that enables clients to approach a network of lawyers and apply for flat project fees. This platform provides automation tools for lawyers and secure billing management for clients. 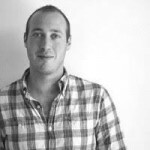 Most recently, Josh has worked at and started a number of startup companies in Toronto. Previously, he built and traded algorithmic trading systems in a number of locations across Asia, Europe and North America; he worked for USAID in Mali and developed mobile compression technology for SAP. Along with his team at Functional Imperative, Josh helps entrepreneurs and businesses understand their market, their opportunity and the steps needed to go from idea to successful product.